IOTAshops.com is your source for online/offline shops and businesses that offer IOTA related articles. You also find shops / businesses where you can pay with IOTA. 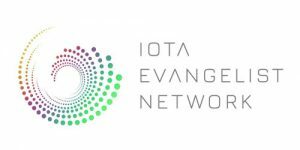 IOTA merch like shirts, hoodies, stickers, mugs, hats – you’ll find the right shop right here. IOTA related hardware and tutorials are also featured. Find the matching IOTA exchange or discover interesting projects. You want to offer IOTA payment? We also offer advisory services and marketing for your business/products/projects.